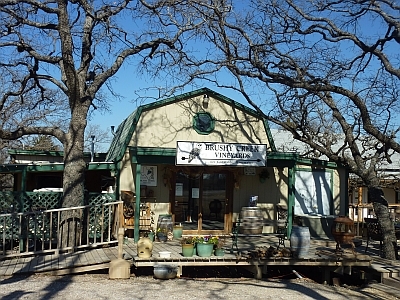 Brushy Creek Vineyards and Winery is located in Alvord and is owned by Les and Ann Constable. 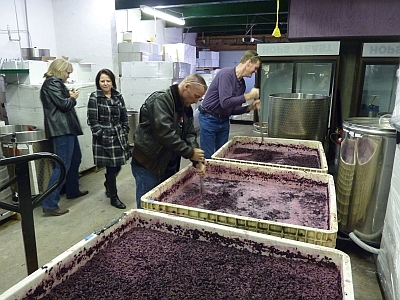 Rachel Cook shares in the wine making duties with Les Constable. Rachel also manages the estate vineyard in addition to several other vineyards that supply grapes to the winery. 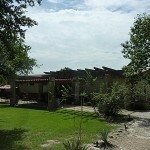 I arrived at the winery which is located behind the vineyard with four of my friends. We took a quick look at the vineyard first which had an owl standing guard over the vines. The sign for the tasting room also had an owl so the logo for the winery is definitely an owl. As we learned later, the owl logo concept was originally derived by Les Constable and the original graphic was designed by Delia Cuellar, wife of Vintage Texas wine blogger and author Russ Kane. 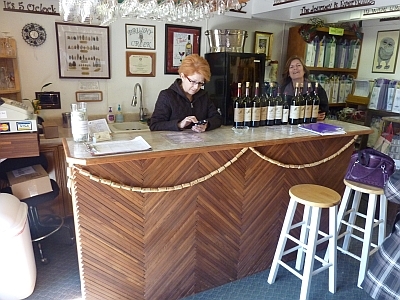 Upon entering the tasting room, we met Cyndi Stutts, tasting room manager, and Candy Roos, wine club manager. We all found a spot along the bar and began our tasting with both Cyndi and Candy handling our tastings. There are stools available at the tasting bar if you want to sit during your visit. 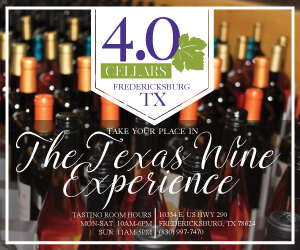 There is a tasting fee for 5 wines and a higher tasting fee lets you taste 6 wines and also keep the wine glass. If you buy three bottles of wine, the tasting is free. I believe we all opted for the higher selection of wines. At least I know I did because I came home with a Brushy Creek wine glass. 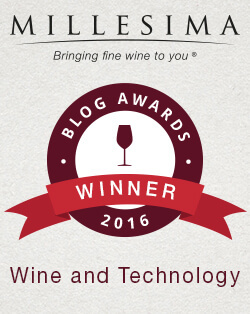 They offer a selection of more than 20 wines to select from to taste. Tastings are poured from the uncorked bottles and crackers are available for cleansing your palate. You can also buy cheese and salami trays. We started our tasting and after a few wines the question of a tour was asked. They called Les Constable who lives next door and he showed up at the tasting room to give us a tour. 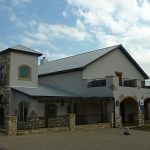 This gave a nice break during our tasting and Les toured us around the winery first to the Owl’s Nest, Brushy Creek’s event center. From the porch you can see vineyards below the winery surrounded by the nice countryside. 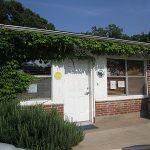 He showed us where they are currently expanding the winery and then went below the tasting room to where the winery is located. There were bins of wine fermenting in the winery and Les commented how it was time for us to get to work as the wine needed punching down. Punching down is done to keep the fermenting wine and skins mixed up during red wine fermentation. As the wine ferments, the skins rise to the top and form a thick cap. The cap needs to be broken up a few times a day to increase the extraction of color and flavor, and to prevent the cap from drying out and/or developing bacterial problems. Punching down is done with a tool which looks like a big potato masher. 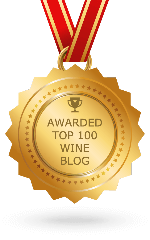 Shelly Ware and Dave Potter jumped to the task and began punching down the wine which we learned was Tannat and Carignane (most commonly spelled as Carignan). The rest of us watched the guys at work and I believe someone made the comment it was just like Tom Sawyer getting others to whitewash his fence. I had never punched down before so I stepped up to do a little, say I did it, and then handed the tool back to Dave. Hey, I can’t be totally fooled! 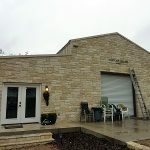 While this was going on, Les Constable, a young 68 year old said, “I want to do the best I can with a particular grape.” We learned Les started making wine in 1991 and the winery was opened in 2002. 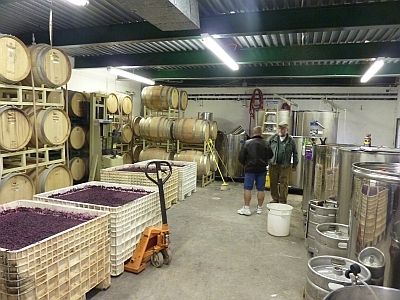 Brushy Creek uses both French and American oak barrels. They produce 2,000 cases of wine a year. 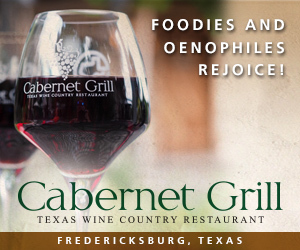 Brushy Creek only uses 100% Texas grapes in their wines. 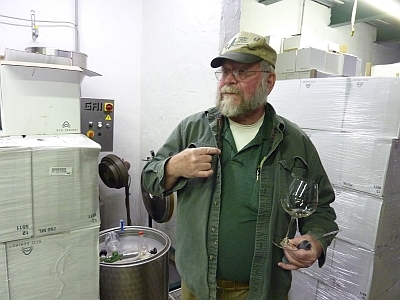 Les said he first brought Tannat into Texas but now gets his Tannat from Reddy Vineyards. 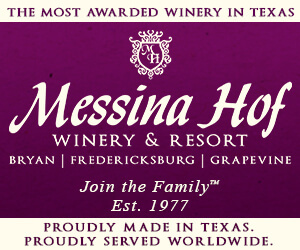 Most of their grapes come from the Clear Creek Vineyard and Reddy Vineyards, but they also get grapes from Klassen Vineyard and grapes from Casa de Christobal Vineyard are used in their Texas Grand Rouge wine. 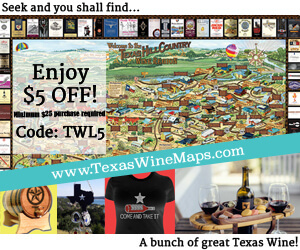 Other vineyards used are Martin’s Vineyards in Hockley County and Skinner Bridge Vineyard in Canton, Texas. 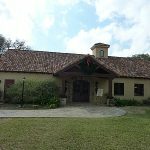 In their 10 acre estate vineyard, Brushy Creek grows Tempranillo, Merlot, Cabernet Sauvignon, Carnelian, Chambourcin, Mourvèdre, Rkatsiteli, Roussanne, Malbec, Tannat, Grenache, Dolcetto, Carignane, Cabernet Franc, Palomino, and Riesling. 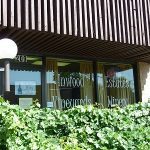 Les enjoys experimenting with different wines and grapes which will help others. 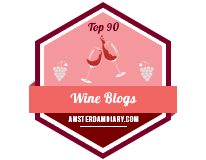 We were then able to sample some wines not quite ready including a sweetened version of Chambourcin (Cinful Blush Sparkling), Muscat Giallo, Malvasia Bianca, and Rkatsiteli. Les said he has been growing Rkatsiteli for years and said that it is a grape more widely grown in the world than Chardonnay. He said the best part of Rkatsiteli is he does not need to do much with it at all. 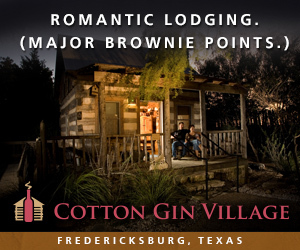 Les said it grows very well in Texas and personally thinks it is better than Viognier. The tour was done and we thanked Les for his time as we headed back to the tasting room to finish our tasting. 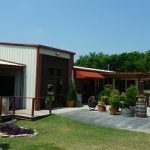 Brushy Creek has a wine club and with their event center often have live music. 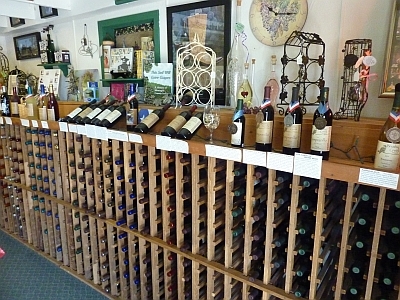 A gift shop is available with wine accessories, books, and other items. 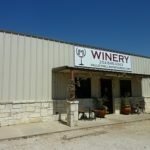 Brushy Creek Vineyards and Winery is on the Cross Timbers Wine Trail. Our tastings and tour turned out to be a 3.5 hour visit but we enjoyed every minute and would definitely go back again.